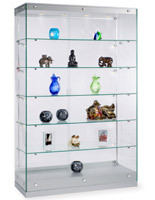 Make merchandise updates a breeze with these contemporary glass display cabinets. 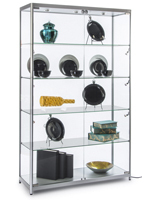 Featuring adjustable shelves, these units let you swap out your showcase for products of nearly any size and shape. 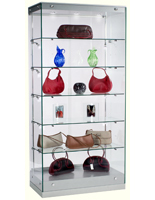 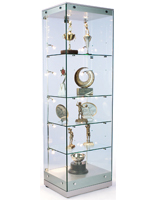 These modern glass display cabinets feature a frameless design, giving customers a clear view of its contents. 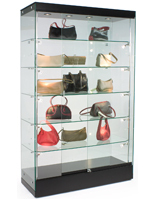 With lockable doors, these units allow you to keep your products secure without removing them to a separate storage area. 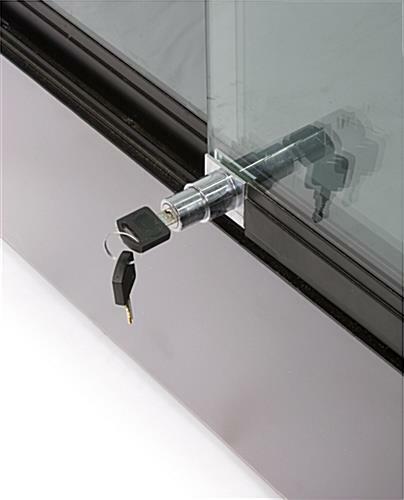 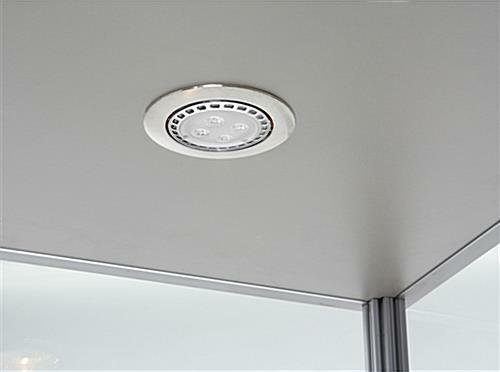 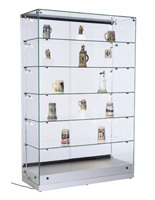 Between its security features and modern look, these glass display cabinets are a go-to fixture for museum exhibits, jewelry shops, department stores, and even hotels. 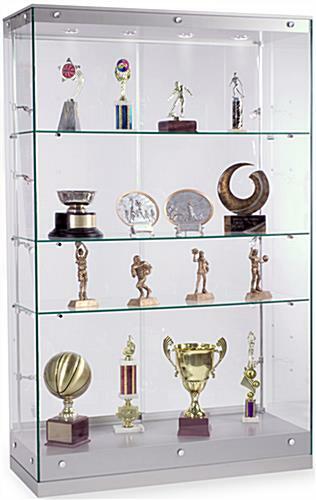 For even more versatility, you can remove the adjustable shelves to accommodate large items like sculptures or trophies. 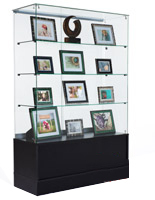 Thank you so much for your feedback. 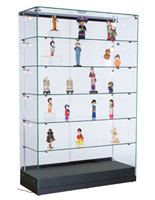 We're so happy to hear that you love your display case.